Following a long winter and wet spring, summer has finally arrived in Washington, D.C., and with it come hundreds of thousands of tourists, drawn by the monuments and museums to the city designed by Frenchman Pierre l'Enfant. Many will no doubt stroll in Lafayette Park facing the front of the White House, a verdant square named for another Frenchman, the Marquis de Lafayette. He was a remarkable man to whom Americans have shown gratitude ever since he arrived on the shores of South Carolina in 1777 as a 19-year-old nobleman offering French assistance in the Revolutionary War. For the next 18 months, Lafayette commanded troops and fought valiantly in the new nation's cause, becoming friends with George Washington and Thomas Jefferson. After returning to France in 1779, Lafayette advocated for even greater French help to the young America and secured the promise of 6,000 more soldiers, to be commanded by General de Rochambeau. The following year, he set sail from the port of Rochefort aboard the frigate Hermione, arriving in Newport Bay in June 1780 and later providing crucial help to the American troops in the Battle of Yorktown. It is said that when General Washington learned of Lafayette's return to America aboard the Hermione, he cried tears of joy for the return of a friend whom he considered a son, and for the message Lafayette carried promising French soldiers, munitions, and uniforms to support America's cause for independence. Today, 235 years later, the French-American relationship is as strong and vital as it was in Lafayette's day, with a magnificent replica of the Hermione about to make landfall at Yorktown, Virginia, after its six-week journey across the Atlantic. Many of those visiting Washington, D.C., will travel down to Yorktown, where, in the fall of 1781, General George Washington and allied French forces besieged General Charles Lord Cornwallis' British army, effectively ending the war and ensuring America's independence. This is an alliance of two friends who have always stood together for common values of liberty, equality and justice, even if at times we differed, as friends do, on how best to achieve them. That is why the United States was honored to repay the debt to Lafayette and the French people in World Wars I and II, when tens of thousands of Americans sacrificed their lives to liberate France. France is not only the United States' oldest ally; it is an indispensable partner in advancing international peace and security, promoting global economic prosperity, and confronting global challenges, from climate change to violent extremism. We are working side by side on issues such as the situation in Ukraine, the Iranian nuclear program, containing Ebola and fighting terrorist groups in the Middle East and Africa. Meanwhile, the landscape of trade and cultural relations between the two countries continues to flourish. The United States is the world's leading investor in France, creating approximately 440,000 jobs, whereas France is the fifth largest investor in the United States, responsible for more than 500,000 jobs. Total trade in goods and services reached $115 billion in 2014, demonstrating that we represent both major buyers and suppliers for each other's markets. A delegation of 40 leading French companies recently attended the Select USA conference in Washington, exploring ways to expand their businesses or create partnerships with American companies. French tech companies made France the most represented of all European countries at the consumer electronics show in Las Vegas last January. This commerce could grow significantly if the United States and the E.U. conclude TTIP free-trade negotiations currently under discussion in Brussels and Washington. Moreover, educational and cultural exchanges continue to enrich both our societies. A huge number of students cross the Atlantic each year to study and share their research, and Washington and Paris recently announced a plan to double student exchanges between France and the U.S. by 2025. At the same time, writers, musicians, dancers, artists and digital creators display their talents to appreciative audiences in French and English. 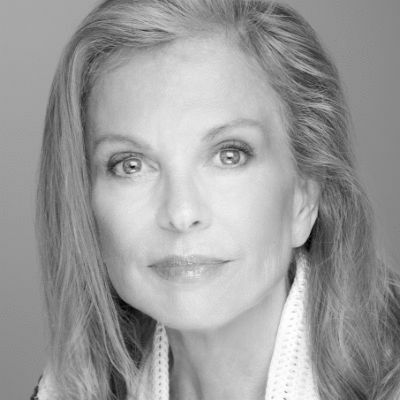 In April in Paris the Kennedy Center bestowed artistic awards to four leading French cultural figures, including the legendary composer and musician Pierre Boulez, and the New York Philharmonic performed at the new Paris Philharmonic. In Washington and New York, the world-renowned Cambini-Paris string quartet performed this spring, and last September the French government's Cultural Services opened Albertine Books in Manhattan, a new bookshop and cultural space where lively debates and colloquia regularly take place. 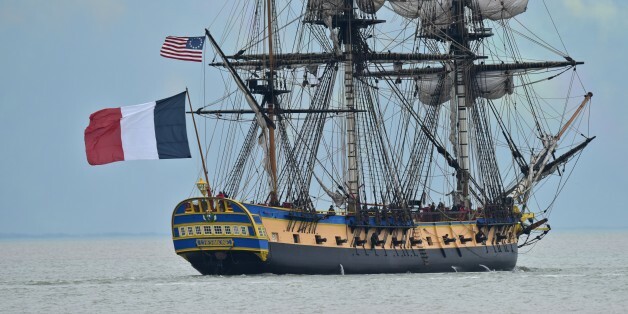 When the reproduction of the Hermione, with its 30 canons and three huge masts, arrives in Yorktown on June 5, it will serve as a powerful and tangible reminder of the long and absolutely essential friendship France and America have enjoyed. Just as thousands of French men and women turned out to celebrate the Hermione's departure from France, including French President François Hollande, we hope many thousands of Americans will welcome her at ports from Virginia to Maine when she arrives, with the same warmth and spirit their founding fathers welcomed Lafayette and his fellow soldiers more than two centuries ago.